Lot 81 B.R. 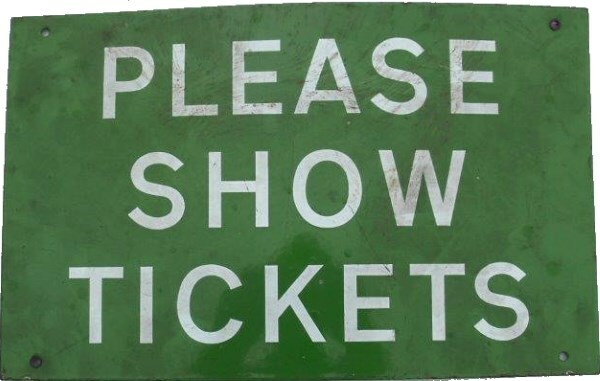 (S) Unflanged Enamel Station Sign "PLEASE SHOW TICKETS". Size 16 x 10". Good Condition.